What is a heart wall clearing? If you haven't already read about stored emotions, now would be a good time to do it. It will help you better understand what a heart wall clearing is all about. You already know that emotions can be stored throughout the body in organs and chakras. You already know that your heart is a very tender place and that sometimes it needs to be protected. It need something to protect itself with. The thing that is most available for it to use to protect itself is right at its "fingertips" stored all throughout the body. What is it? Stored Emotions. So the heart reaches out and grabs what it can to protect itself. In doing this it builds a wall around itself - a heart wall. Why Do a Heart Wall Clearing? 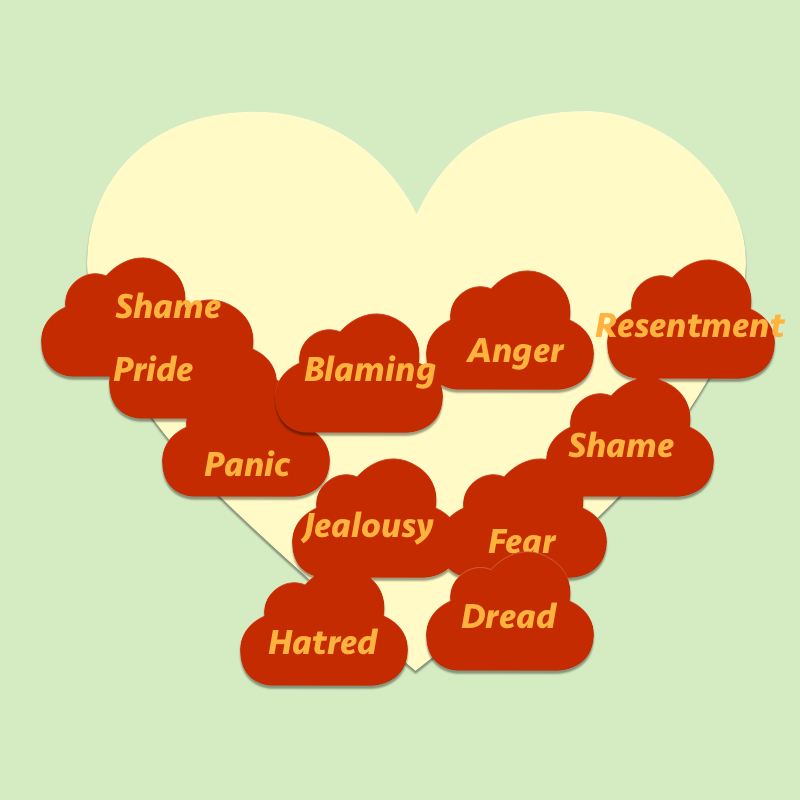 When releasing the heart wall, it's important to know which emotions will be released and how many of each one. That's easy to figure out using muscle testing. Once I know how many emotions are to be released, I can just clear them like I would if I were doing any other kind of clearing. If you've read Dr. Nelson's book you'll see how he recommends that a heart wall be released. He recommends finding out what the heart wall is made of, how thick it is and how many emotions there are. I've done away with all of this except for determining what emotions there are and how many of each one. I did this because I found that people can become too interested in just how thick their heart wall was and what it was made of. These are just details which let humans do what humans do sometimes - which is to start comparing their heart wall to the heart wall of another. In other words they get concerned if their heart wall was not as thick or was thicker than someone else's. They get concerned if their heart wall was made of bricks rather than cotton balls. What does that mean, they ask. It means nothing. It is a construct which can be "fun" to play with but which, in my view, distracts from the true purpose of the clearing. So I just find the emotions to be cleared and clear them. There will be 2 or 3 sessions included in the heart wall clearing all of which are included in the price. I don’t know what your self-care budget is like. But I do know that receiving this clearing will change you for the better for the remainder of your life. It will make you a better healer, a better partner, a better person. Is a heart wall clearing permanent? It is permanent to the extent that the emotions we have just cleared are gone. But I've discovered both in myself and in others that there are such thing as "hidden" heart walls. Well, when I check for a heart wall I determine how many emotions there are in the wall. I may find 95 or 127 or 160. In other words, it varies. I will find a variety of different emotions in the heart wall, maybe 1 of this one or 5 of that one, etc. Sometimes I find only SEs and sometimes I also find MSEs. They both get released in exactly the same way. Once I've completely cleared the heart wall of the emotions I found on the scan, I ask again if there are more emotions to be cleared from the heart. If I get a "no" response, that's it. The heart wall clearing is complete. If I get a "yes" response, I know that there was a hidden heart wall which has now decided to show itself. If the client is up for it, we can clear this hidden heart wall too. There can be a hidden heart wall related to various issues and patterns in the client's life also. Another thing to know about the heart wall is that it can be rebuilt. If the rebuilt heart wall grows large enough, it would need to be released again.